We offer the best services in wheel repair. 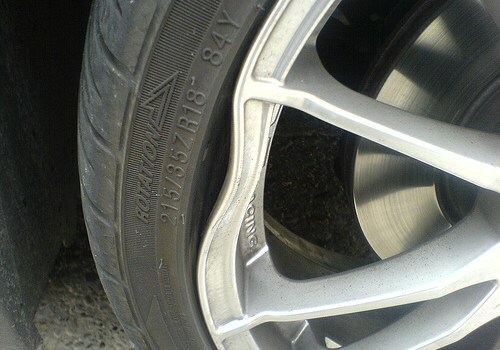 We can restore and repair almost any bent, cracked, gouged, and scraped alloy rim. A repair is a complete alloy wheel repair solution for bent, cracked, structurally damaged, vibrating wheels. For a very reasonable price, your damaged wheels can be looking like new again and be structurally safe. The wheels are examined at each stage of the repair process to insure they conform with our standards and those of the manufacturer. Our wheel repair services include welding for wheels that are cracked or have missing metal. Wheels are inspected before and after the welding process to make sure they pass the safety requirements. We inspect each wheel carefully and advice the customers on the extent of the damage and the repair-ability. If we feel we cannot safely repair the wheel because of the amount of damage, we will offer a replacement wheel from our inventory. * A repair does not include any cosmetic finishing. Q: How do I know when my wheel needs to be repaired? A: A repair is needed when a wheel is bent and causes the car to vibrate and the tire to lose air….most likely from hitting an object on the road. Q: Can any wheel be repaired? A: The damage has to be in a specific area. If the damage is in the center the wheel is non-repairable and you will need a replacement. Give us a call for more detailed information (714) 239-1122.